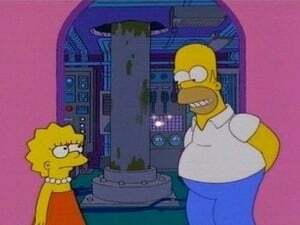 Homer and Bart try to make money by selling used grease. 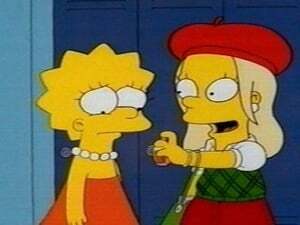 Meanwhile, Lisa organizes a school dance but feels alienated when a new classmate and her friends try to act like adults. A midlife crisis prompts Homer to quit his job and become an inventor. 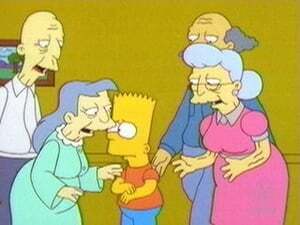 Under Nelson's bad influence, Bart shoots a bird with a BB gun. 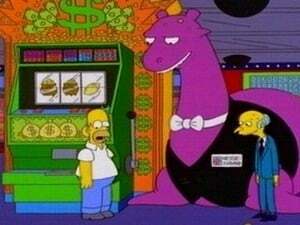 Stricken with remorse, he tries to nurture the eggs from the bird's nest, which hatch into a species of lizard outlawed in Springfield. In "Hell Toupée," Snake is sent to the electric chair, and his hair is transplanted onto Homer. 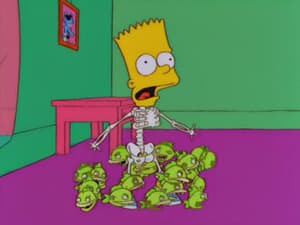 In "The Terror of Tiny Toon," Bart and Lisa become cartoon characters in an episode of Itchy & Scratchy. In "Starship Poopers," a growth spurt casts doubt on Maggie's paternity, and the family goes on the Jerry Springer show. After a chance encounter with Hollywood celebrities secretly living in Springfield, Homer becomes their friend and gofer... until he spills the beans to the gang at Moe's. 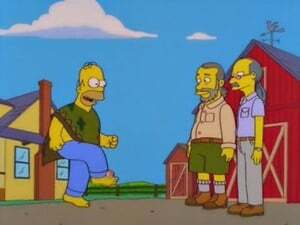 In a quest to learn Homer's middle name, Homer and Grandpa travel to his mother's old commune, where Homer embraces the hippie life. 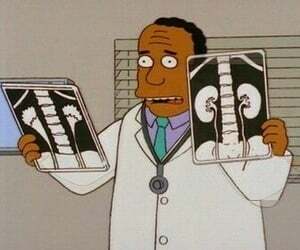 Episode 7 - Lisa Gets an "A"
Episode 8 - Homer Simpson in: "Kidney Trouble"
When Grandpa needs a new kidney, Homer agrees to donate one, but then chickens out. After a riot at a sci-fi convention, Mayor Quimby hires Homer as his bodyguard, and Homer witnesses the rampant corruption in town politics. 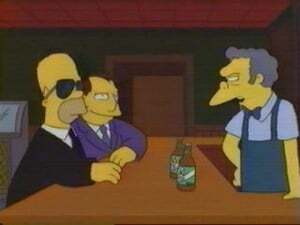 When Homer takes a stand, he runs afoul of the Springfield mafia. 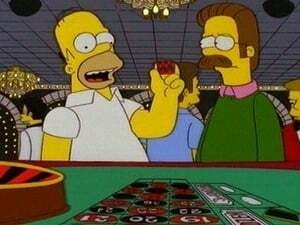 When clean-living Ned Flanders wants to experience a new side of life, Homer takes him to Las Vegas. After a drunken binge, they marry a pair of cocktail waitresses. 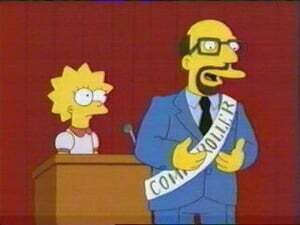 Scapegoated for the vandalism of drunken Isotopes fans, the children of Springfield wage war on the adults by broadcasting their secrets on the radio. 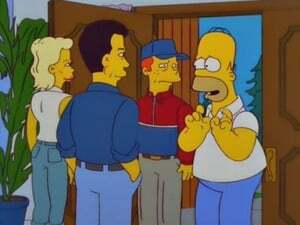 Homer and his friends charter a bus to the Super Bowl, only to find that their tickets are fake. Misadventures ensue. Apu is making the husbands of Springfield look bad with his extravagent Valentine's Day efforts for Manjula. When the men try to sabotage Apu's grand gesture, they accidentally wind up benefiting from it. 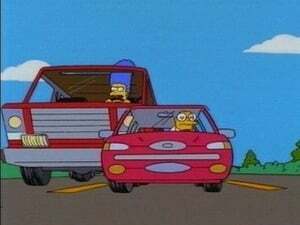 Episode 15 - Marge Simpson in: "Screaming Yellow Honkers"
A new Canyonero SUV turns timid Marge into an aggressive driver, and her road rage lands her in traffic school. 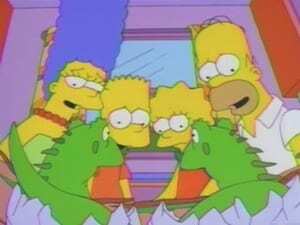 But when a stampede occurs at the zoo, the town looks to Marge to save the day. 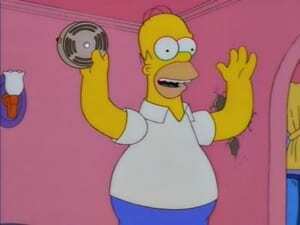 Indebted from a mishap at the Smithsonian, Homer lets a cell phone company put a transmitter in the house. Forced to share a room with Bart, Lisa resents Homer until a New Age experience gives her empathy. 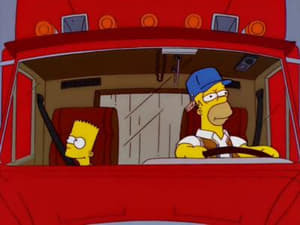 After beating Homer in a steak-eating competition, a trucker dies; Homer and Bart take over his rig to complete his shipment. 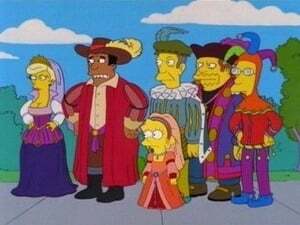 When Reverend Lovejoy subjects the congregation to an extended Bible reading, the Simpsons fall asleep and have dreams based on Bible stories. 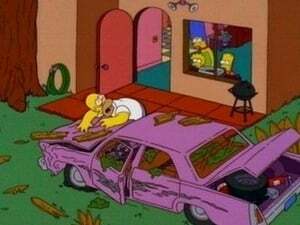 Homer's failed do-it-yourself project gets mistaken for "outsider art." 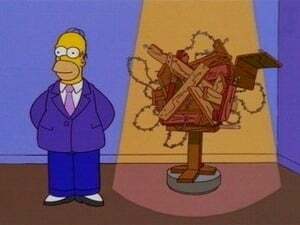 Suddenly in the limelight, Homer must come up with new "works" to impress the art world. When Bart ruins Springfield's chance to host the Olympics, the kids are sentenced to community service work at the retirement home. To help the residents recapture their youth, Bart takes them on an ill-fated boat ride. A new mogul wins the hearts of the townspeople with a shower of cash. Jealous, Mr. Burns asks Homer to help make him a beloved billionaire too, and they hatch a plan to bring the Loch Ness Monster to Springfield. Mayor Quimby flees Springfield, leaving the town chapter of Mensa in charge. As the group's new power goes to their heads, they take their utopian plans too far and the townspeople revolt. 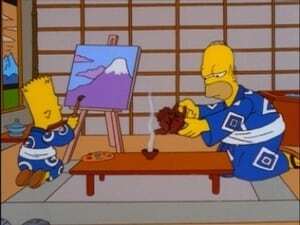 After their bank account is drained at a cyber-cafe, the Simpsons go on a disastrous low-budget trip to Japan, where they wind up as contestants on a humiliating game show.